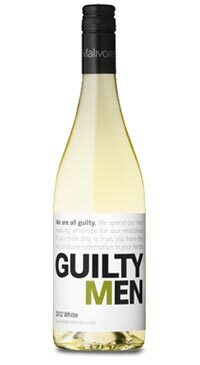 Guilty Men White is a blend of 65% Riesling, 28% Sauvignon Blanc and 7% Chardonnay. The wine is fermented in stainless steel and is made in a lightly off dry style with enough natural acidity to keep it lively, bright and refreshing. This is a very easy drinking white wine that is perfect its own and a wonderful partner for spicy foods.